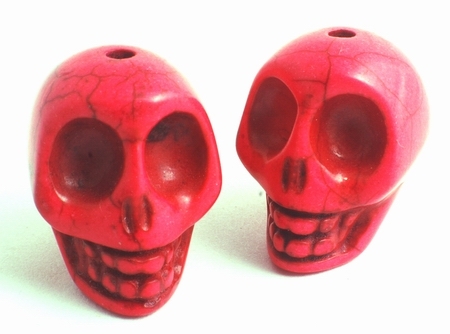 Price is per TWO skull beads. Each measures a large 22mm x 20mm x 17mm - drilled through head from top-to-bottom ready to thread. Ideal as a focal bead on a necklace or as earrings. Looks more pink than picture. Dyed - but color fixted.